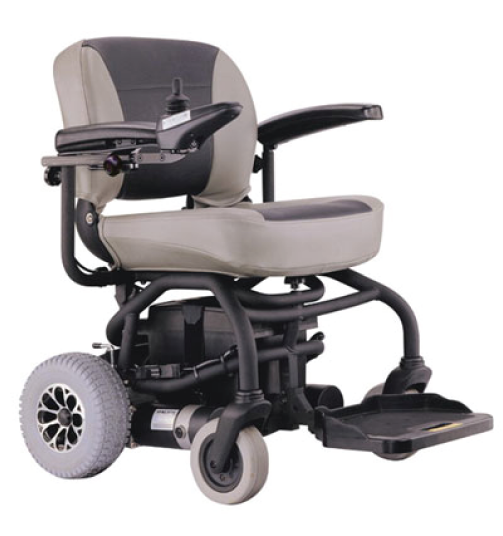 We are a provider of mobility equipment solutions with showrooms in Osborne Park, Perth. Established in 2001; our aim is to provide solutions for people with mobility issues to allow them to regain their freedom and independence and improve their quality of life. Proudly Australian owned and operated, we design and produce our beds and chairs locally using only the most reliable and trusted materials. A locally manufactured product doesn't only mean peace of mind that comes from quality craftsmanship but the assurance that we are just a phone call away for all your ongoing service requirementsOur range of stylishly designed products are built for comfort, durability, and reliability but more importantly they help people all over Perth and Regional Western Australia to regain their independence and freedom.Our Range of products includes Mobility Scooters, Stairlifts, Platform Lifts, Powerchairs, Electric Wheelchairs, Adjustable Beds and Lift and Recline Chairs.However Bluesky Healthcare's real strength is our staff; our friendly and caring consultants have the knowledge and experience to help prescribe the right product for your needs. Our trained experts take the time to talk with you, assess your needs, look at your home and explain to you exactly how a Bluesky Healthcare mobility product could assist you. All the way from the first contact through to an after sales follow up our friendly team will be there to assist you and provide you with any advice or assistance that you may require. We offer a full range of Scooters and Powerchairs specialising in travel and portable options. Scooters and Powerchairs have been getting more and more popular in Perth over the last ten years. They don't require a license, nor registration is cheap to run and ideal for everyday chores like shopping and doctor visits. Deciding on what product is right for you can be daunting. Hence we offer obligation free consultations, demonstrations, and test rides to make sure you find a product that suits your lifestyle needs. Our Adjustable Beds and Mattresses are manufactured locally in Perth. They offer all the functions and comforts of a Hospital Bed without jeopardising the Homely Feel of your Bedroom. You can choose any combination of features to suit your needs, including massage, Hi-Lo, Head Lift and Leg Lift. The Beds can be made in any standard and most non-standard sizes with mattresses to suit. We are proud of this product and offer a standard five-year warranty on the Bed, Motor, Frame, Surround, and Mattress. We provide Western Australian custom-made Chairs as well as a budget line to ensure that we can help as many people as possible to maintain their independence. The Chairs come in various sizes and fabrics including leather. We Offer three different functions in the Lifting Chairs including a Wallglider, which needs minimum space do recline a Bed Chair, which folds down horizontally and a Tilt in Space which helps to maintain a set angle of the back at all times. Bluesky Healthcare is the WA Distributor for Stannah Stair Lifts. Stannah is an English company with over 40 years of experience in the field. Stannah covers the whole range of your Stair Lift needs, including Straight Lifts, Curved Lifts, and Outdoor Lifts. Apart from the comfort and added safety that a stair-lift could bring to your home, and Stannah Stair-lift is custom made to fit your stairs to ensure that each curve and incline moulds to your stairs perfectly allowing for a snug and unobtrusive design. Lehner is an Austrian manufacturer of Platform Lifts and other lifting solutions mainly aimed at wheelchair users. The Omega Platform Lift is the narrowest platform lift on the market making it the best option for home modifications. As well as curved and straight Platform lifts Lehner also offers Vertical Lifts, these can be stationary or portable and can be used for both indoor and outdoor use. Making them the perfect solution for commercial or public spaces.